And from now until July 31st, Knit Purl is offering a 10% discount on all lace weight yarns, including some of our favorite Habu yarns. Use the code LACE2016 in all caps during checkout. Fiber folk: Fiber fascination is something we can all relate too, discovering new yarns both rustic and soft…but Takako of Habu Textiles and yarns takes that fascination to a completely new level, resulting in over a hundred varieties of silk, stainless steel, paper, linen, bamboo, cotton, hemp and even pineapple fiber. 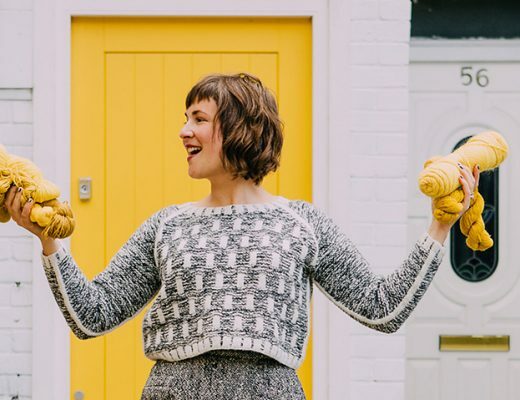 If you’ve ever come across Habu in your local yarn shop and stood in wonder at all these incredible yet sometimes intimidating yarns and wondered who is behind all this? Well that someone is Takako Ueki, and she’s a wonder in herself. I hope you’ll be inspired by her story and explore her amazing yarns and all the gorgeous garments and projects designed in them. 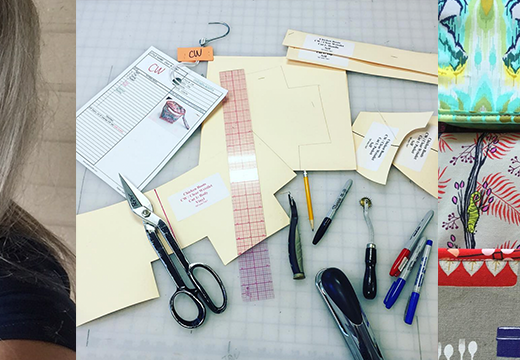 You can find Takako at habutextiles.com and on Instagram @habutextiles. Sponsor: I wanted to make sure and thank today’s sponsor again, Knit Purl. Along with their impactful presence as a local yarn shop in Portland, Oregon, they’ve put together a dream collection of yarns in their online shop, including some of my favorites, Woolfolk, Habu, Brooklyn Tweed, Sincere Sheep, Swans Island and Twirl. To find these yarns, along with patterns and notions visit knit-purl.com. 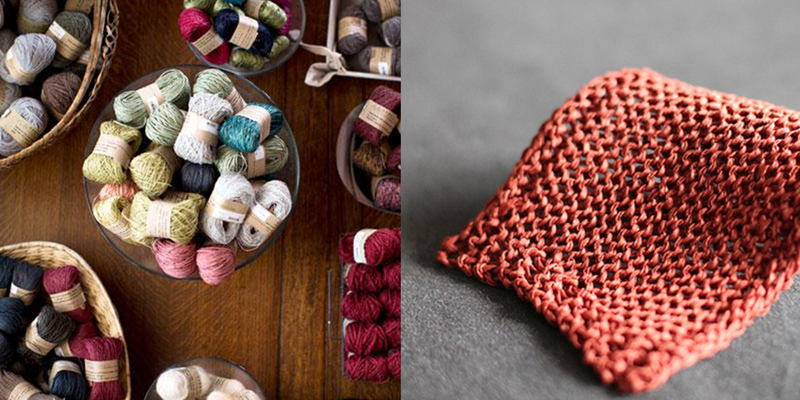 And through the end of this month, Knit Purl is celebrating Lace Month, use code LACE2016 for 10% all lace yarns. In Residence: I’m excited to finally share the newest addition to the Woolful podcast, In Residence. Each quarter we’ll be joined by a farmer, designer, entrepreneur and artist in residence…discussing topics and questions asked by you the listeners. This week we’ll be hearing from photographer in residence, Kathy Cadigan…superb photographer, stunning knitter, and a great listener and friend. 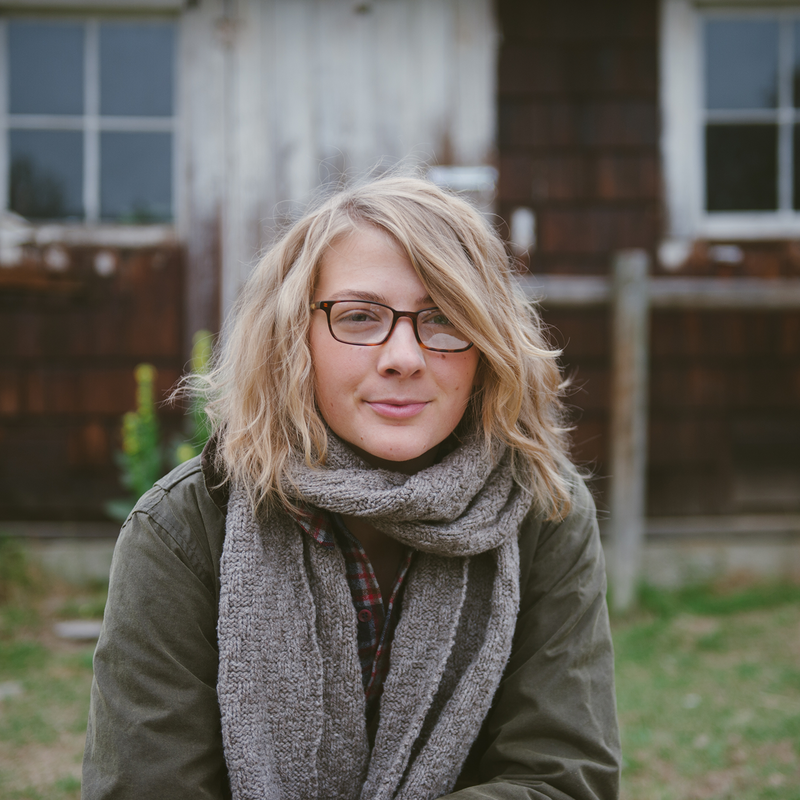 Our questions this week comes from Amy Tozer, you can find Amy on Instagram @urban_farm_wife. 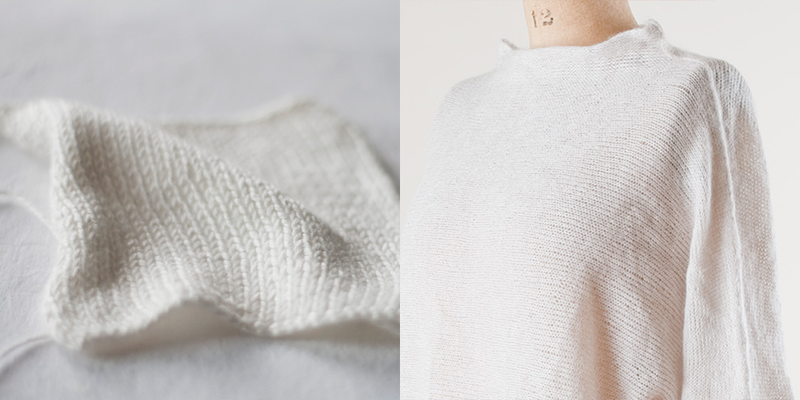 Amy asks: How do you approach photographing knitwear? Do you try to capture the garment or are you trying to evoke a feeling? With pattern photography, I feel the need to create both compelling photographs, but also honest and complete photographs of a garment, and sometimes these are separate photographs. I would love to hear all about Kathy’s process. Does she do the styling, or does the designer do that? Shop update: It’s been a long time since I’ve given an update on the Woolful Mercantile, my little shop of farm yarns. As we begin to gear up for Fall I’ll be sharing a variety of new and restocked yarns, all of which I’m very excited about. Check woolfulmercantile.com later this week for all the updates. Giveaway: The winner of last weeks giveaway is Michelle, you’ve won 10 skeins of Wool Days Scout yarn and a copy of cabinfour’s sock pattern Sunday Morning Socks. Congratulations! This week’s giveaway is sponsored by Habu and they’re giving away a bag of assorted Habu yarns to three listeners. This is an excellent opportunity to experience a taste of all Habu has to offer. To enter and be one of the three winners, leave a comment on this blog post. The photography in your site is always so beautiful. I want to go live in the house by the stream in the bottom picture! Thanks for sharing. Habu has wonderful yarns and patterns that are very unique. If you’re wearing them you will always get a complement. I absolutely love Habu textiles, can’t wait to listen to this episode!! I would love to try these yarns. I’m sure it will change the way I think about fiber. Thanks for the wonderful podcast! You always have such awesome give aways! I have shopped at Habu at Stitches in Illinois and also when they were in NY. Such exciting good stuff!! I have used Takako’s Tsumugi Silk and love it. I’d love to try some of her other yarns. I am very fascinated with Habu yarns after listening to this episode’s podcast. Would love to try these yarns! I loved learning the story behind Habu Textiles. And yay for shop updates! I’d love to try out this yarn! Oh I’d love to win some Habu! I love Habu yarns–so interesting. And I like their patterns and kits as well. Habu creates beautiful and unique yarns. Their store in NYC is lovely. Oh wow!! 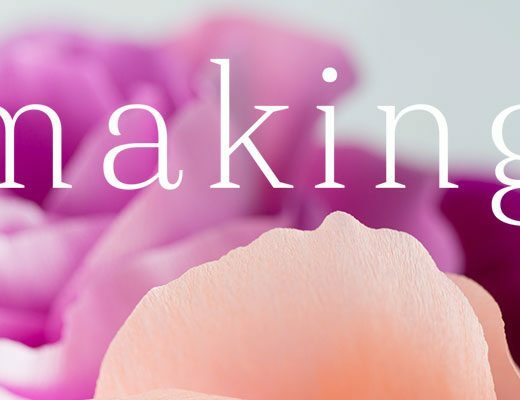 It is so nice to get a little behind the scenes about this shop and this lovely creator. I’ve been looking at their stock for a while so it’s super neat to hear about their world. Thank you for sharing it with us!! Thank you for this interview! Their aesthetic is so wonderful, I love Habu. Can’t wait to listen! We have company for the weekend so I guess I have to wait till Monday. What a great interview! I would be so excited to get to play with these yarns. Do you know the source of those BEAUTIFUL necklaces!? Can’t wait to listen!!! What an adventurous childhood, always impressed by people who had a sense of direction so early in life. Thanks! This was a great episode! I’ve always been curious about Habu Textiles, and now I know about who is behind the yarns and her history — what a neat person! And hearing from Kathy Cadigan was also wonderful. Thanks so much for always providing such a wonderful podcast. 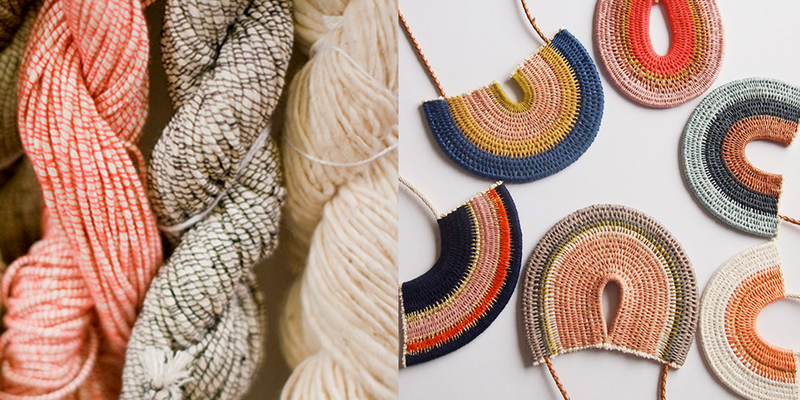 And yes, I would love to have a sample of Habu Textiles! I love the look and feel of Habu, but have not yet taken the dive! Thank you for such a lovely chance! Ooo. I’d love to win! Great episode. Now I really want to try these yarns! Thank you for your wonderful podcasts, I always look forward to hearing the new stories! I have been spinning and weaving for 36 years. I am so glad to see so much interest in these processes now! Again, thank you! Another great episode! Wonderful to be able the eavesdrop on such a private person’s life. And, Habu–exciting, always! Beautiful story. I can relate to being a loner of sorts. I am going to have to get my hands on some of her yarns. I also like the residency portion. Great show. I actually came across Habu at Knit Purl and was very intrigued by the fiber. Thanks for the giveaway. I’ve always been intrigued with Habu textiles and have been lucky enough to use some of Habu’s wonderful creations in my knitting. It would be such a pleasure to win this giveaway but it was also a pleasure to hear the interview. I’ve always wondered about Habu but never taken the plunge and bought any. Awesome giveaway! Your choice of topics is always superb. Looking forward to this podcast! I’ve heard about Habu for years! Can’t wait to listen to this! I’m quite new here and I like the atmosphere. Great podcast too! I’ve become a fan. I’ve been in awe of her yarns since she first appeared at Stitches West. So wonderful to hear her story. I am so pleased to hear I can attend a Habu tasting at A Verb for keeping warm, a store I have long wanted to visit. I have seen the beautiful stainless steel and paper yarns and not understood how to use them. Thanks for a well done podcast. Takako’s eye for color and style is amazing. Now I’m really thinking I’d like to weave with some Habu yarns. This episode is so inspiring! I have long been an admirer of the fibers that Habu offers, but I will admit to being a little bit intimidated by them. Now I think I may go to the yarn tasting at A Verb for Keeping Warm and try my hand with them at last ! What a great interview! Loved the personal insight and cultural anecdotes. I’ve been exploring plant-based fibres a lot recently, as a knitting and natural Dyer, and would love the opportunity to experiments with pineapple fires and paper yarn! What a fantastic story she has! 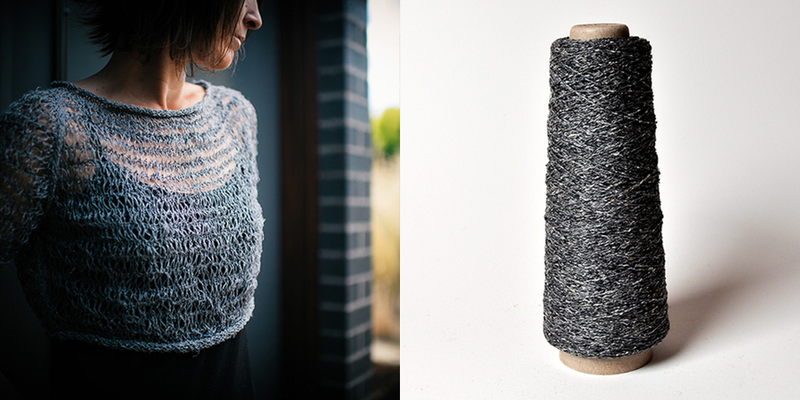 I’ve always been sort of in awe/scared of Habu yarns…they look so lovely but I wouldn’t know what to do with them! Well I was inspired to look at projects on Ravelry that were made with Habu, and I can’t wait to pick some up to try them out! Thank you! Habu yarns are the most inspiring yarns available, knit, crochet, weave them, they just shout beauty. I loved hearing about the talent behind the label, thanks again Woolful for a brilliant podcast. Another amazing episode, and give away! Thank You! Loving your podcast. What an incredible story. Thank you for all you do! I once visited Habu when I was visiting New York many years ago. It was like someone opened a door and said, there is no such thing as “regular ” yarn. It was beautiful it was so different. If I am ever in Denver I will have to visit her again or go to fancy tiger crafts. It was just so amazing that I have been in a place that even had paper yarn. It inspired me to spin my own paper yarn. Thanks so much for this one it was great! I can’t wait to listen to this episode, the Habu yarns sound amazing! I can’t wait to listen to this. I’m totally fascinated by Habu. I used a selection of Habu yarns for an Art Installation I did in Spain. A knitted river using paper moire, silk, cotton gima…was invading the gallery space and the result was amazing. 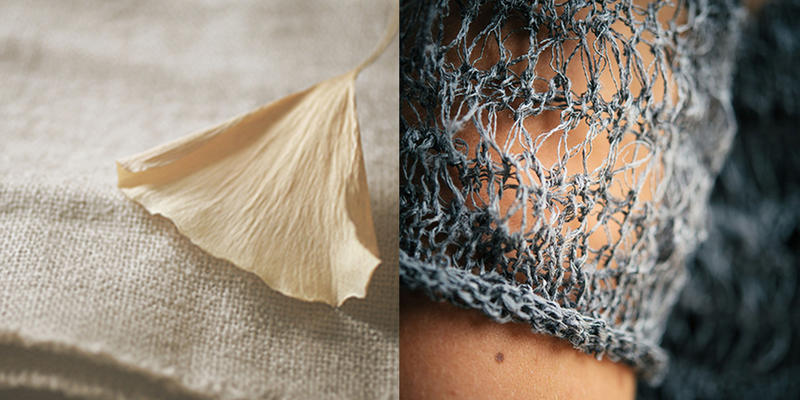 Thank you Takako for offering us such an inspiring range of delicate and artful yarns. Also thanks to Ashley for your always so beautiful pocasts. My very favourite episode so far! I loved hearing Takako’s story and how she makes her loner style work while running a successful fiber business. Kathy’s description of photographing knitwear kept me rapt. Winning a bagful of Habu would be a dream come true! I’ve long admired habu yarns from afar. Lovely to hear how they come to be! Thanks, Ashley, for this wonderful episode. I very much appreciated hearing Takako’s story. I am a person who works best alone, and who cherishes her alone time, so Takako’s answers and comments in that regard deeply resonated. 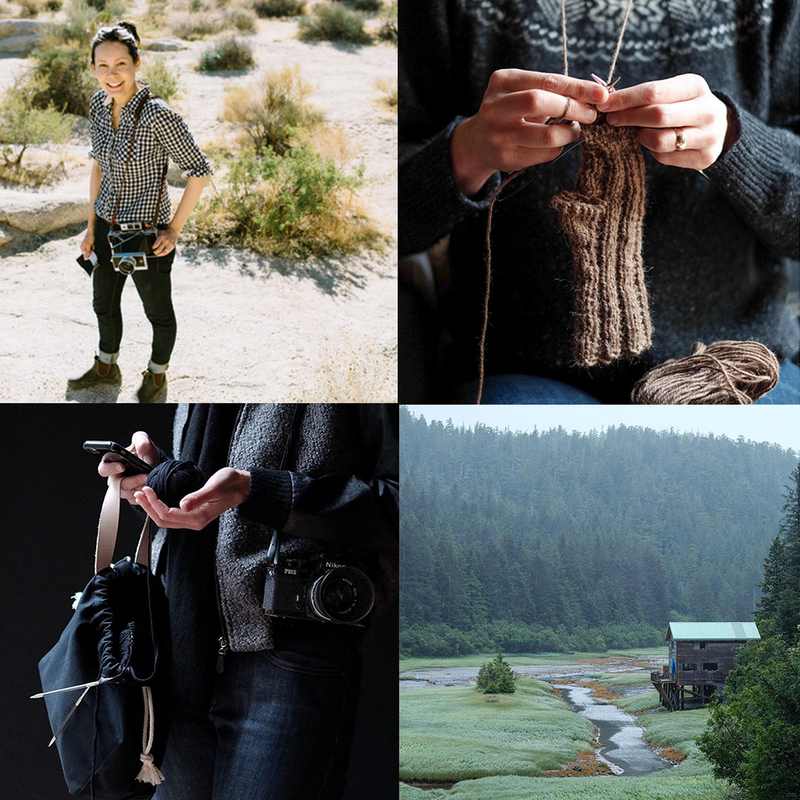 And Kathy Cadigan’s description of her style of approaching knitting photography was very insightful–the artist in residence feature is a great addition to an already great podcast. I love listening to your podcasts. This is the first time I’ve replied, partly because of the story. Thank you for sharing these stories with us. It gives me a few minutes to dream once in a while. The Habu story was very interesting! Also really enjoyed piece on photography. Thanks for the great episode. Thank you for another great podcast! 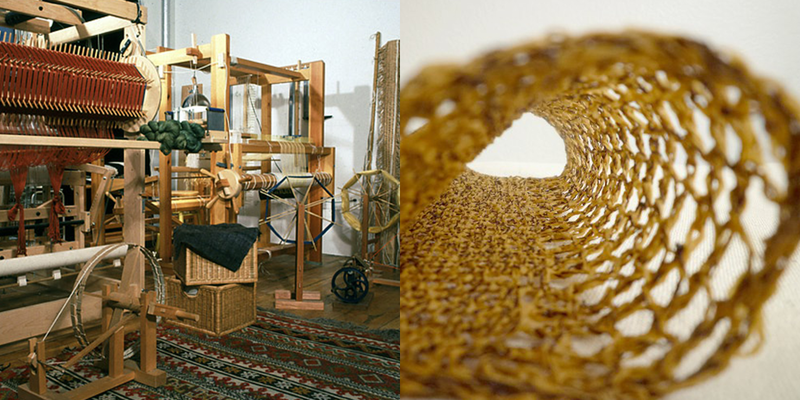 I just saw paper yarn for the first time a couple weeks ago, so it was exciting to hear a little more about it. Thank you for doing this podcast. I have been interested in Habu yarns for a long time and wondered how these yarns came to be, so it was great to hear about Takako Ueki’s life and work. I really enjoy the podcast and find the fiber journeys so inspiring. I’m always looking to try new yarn so I’ll put my name in the hat for the giveaway! You always have such interesting topics! I miss going to the Habu showroom in NY and cone after cone of unique yarn. 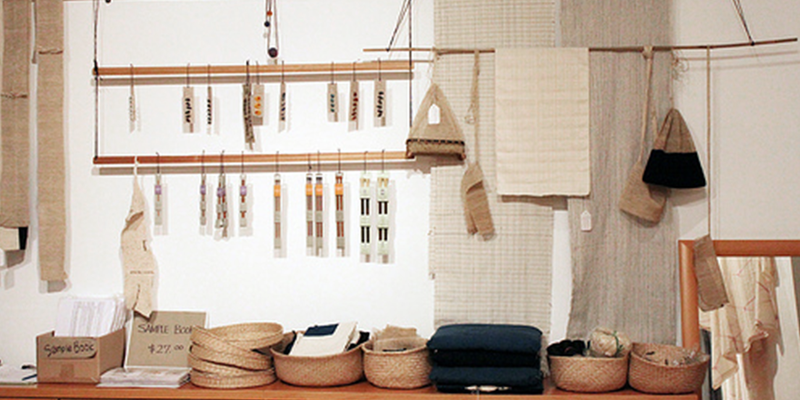 Loved hearing the story behind Habu Textiles, and will be seeking out some to try ASAP. My Nana is the only person in my family I haven’t knit something for because she’s allergic to wool, and I think Habu might finally solve that problem! It was fascinating to hear Takako’s journey to this point in her textile life. I always enjoy visiting her booth at Stitches West, and now that I have more insight into her story I am looking forward to exploring her produces with even more interest. Thank you for another stimulating episode from the fascinating world of craft. Very interesting to hear the story behind Habu. I have used some of these beauties in my weaving and knitting. Still have a skein of paper yarn, lovingly hoarded, now I am prompted to try it out. Thanks! What an interesting story of how Habu came to be. I think my local LYS has the paper yarn. I’m headed there after I post to pick up a pair of needles and now to look at some of your yarn. I have two skeins in my stash of Habu – I’d like to try some others. What a great podcast and it was interesting to hear more about Habu. I’m a fan of the stainless steel and silk and would love to try more. I am a big fan of Habu and your podcast. Great episode! Lots of thoughtful ideas about photographing knitwear. I’m pulling out my camera today! so excited for this podcast and giveaway! I’ve been binging on all your episodes on my recent flights, it’s been really wonderful to finally catch up. thank you! Just pressed play, excited to learn more. Great podcast, always wondered about the origins of Habu. Thanks! What a fantastic story of Habu! I’ve always been intrigued and intimidated by Habu yarns. Your episode inspired me to check out Habu’s website and now in filled with inspiration and intrigue! I would love to knit and play with these gorgeous yarns! Takako, thank you so much for sharing your story. You’ve inspired me to 1. be okay with pursuing my love of fibers even if it means I’m alone or not bogged down by social obligations and 2. to GO! to meet people, to explore mediums. I’m really thankful for this podcast and for the ways it has inspired and grown me as a 20-something, as an artist, and as a woman. I found this episode especially interesting. I enjoyed hearing about the journey of this wonderful artist! Thank you! Love you podcast – thanks for all the giveaway opportunities! Really excited to listen to this! I love Habu yarns! I am totally fascinated by these Habu fibers! And I enjoyed the photo tips; beginning with a broad angle and then coming in to focus once a comfort level has been reached makes good sense. Fascinating!! I would love to try this yarn! Thank you for the opportunity. I would love to try the yarn from Habu! It sounds like a very interesting yarn! I really love Habu fibers, the y are so special!! Thanks for the postcad, I really enjoy it!! Thank you for this wonderful episode. How very brave of Takako to come to the US ar age 16! I would not have been brave enough at that age…maybe not even at my age today! Thanks for interviewing Takako. I have long been interested in Habu yarns and have experimented with a few, which has been fun and rewarding. It seems that the different and unusual yarns stimulate you to create outside the square. I do admire the Habu aesthetic and would love to visit in Denver. I have just discovered your podcast and am REALLY looking forward to listening to all the back episodes! I love the podcast, Ashley. It’s great to hear how artists got their start and what motivates them. It really opens up the possibilities and helps me to dream a little bigger. Habu yarns also expand my crafting options. Such interesting textures. I’d love to get my hands on some of that yarn. What a fascinating interview! I would love to try out some Habu yarns! I don’t know how you consistently find such fascinating people in the fiber world to interview. Perhaps all the fiber community has to offer is people who are so incredibly interesting. Thank you. I am a big fan of Habu Textiles. It was great to hear the backstory. Thanks for another fascinating interview, Ashley. I am yet to work with linen, something I would love to try next Summer. My brother and I had a blast listening to this episode together. I’ve been curious (well, more like preoccupied) with Habu for a few years but haven’t worked up the guts to just try out some of her more unique yarns. I’m just going to do it. Thanks for the wonderful podcast! 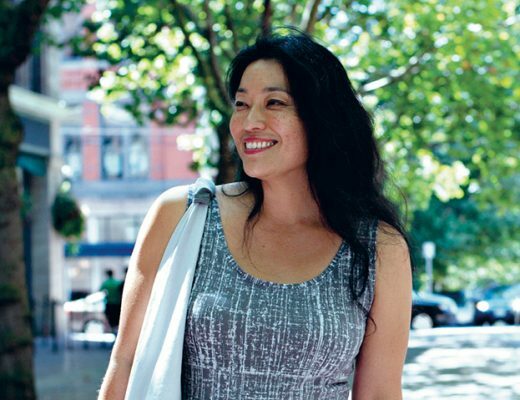 Loved the interview with Takako, and her determination to find her passion and nitch! 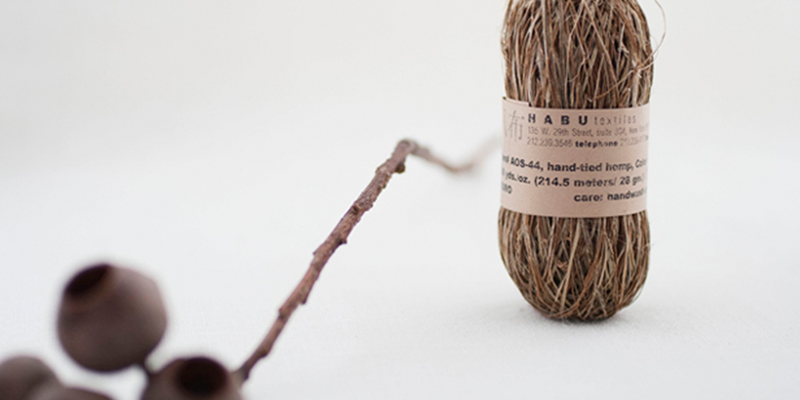 I would love the opportunity to try habu’s fiber. Habu Habu! Just completed my first ever Habu project – the Open Air Shawl made of Silk Wrapped Paper – and I LOVED knitting it! Have been somewhat obsessed with Habu for years, the fearlessness of it…stainless steel, anyone?….but had never attempted knitting with Habu until this project. 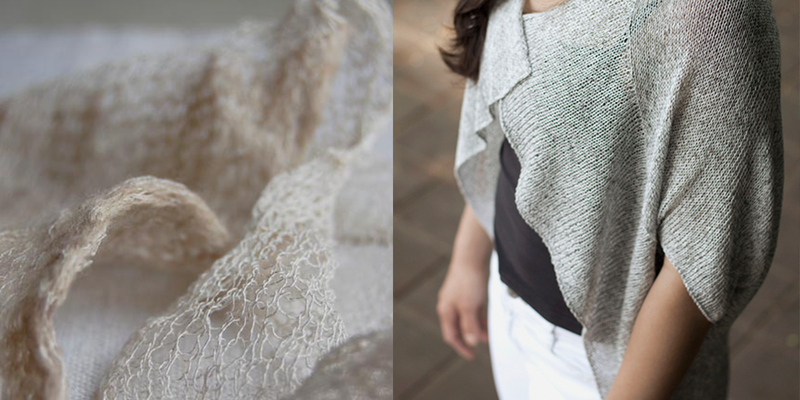 I encourage anyone looking to make something with Habu to try this summer shawl (free pattern from @PurlSoho). I felt like some kind of PRO knitting with silk wrapped paper. I mean what even IS silk wrapped paper?! So happy I came upon your podcast! 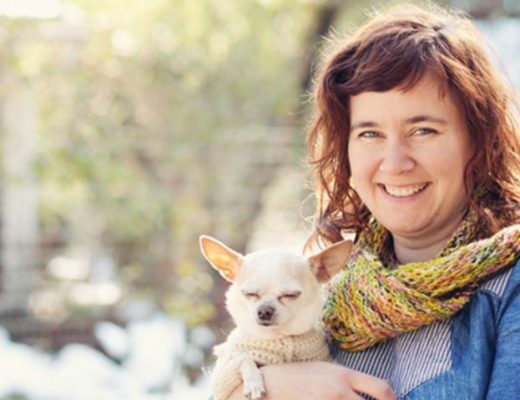 Wonderful interview, and I also love Knit Purl, a store I’ve visited and recommended to anyone going to Portland. Just found your podcast. Really enjoying the episodes. I loved visiting Habu’s booth at Stitches years ago. Always a treat to buy a few skeins to experiment with. So enjoyed this. Takako is an utter inspiration. I love all things Habu. I have been wistfully gazing at Habu whenever I see it – now I am going to seriously start looking for that special project in which to use it. Was really interesting listening to the podcast! This was my first Woolful podcast. Love it!!! Will be listening to more. Takako’s story was fascinating and the yarns amazing. Please enter me in the drawing for the Hobu yarns.. I would love to try Habu textiles, and am looking forward to listening to this episode! Great episode! I’m excited to find sone Habu now!! After listening to this episode I can’t wait to try Habu. It’s always fun discovering new materials to take the craft to another level. I really enjoyed the interview and I am very interested in Habu. I love people and our culture celebrates extroverts but I am quite an introvert so I was happy to hear about someone admitting that she is comfortable alone. I am inspired by others but to have enough energy to be creative I often need time alone. I feel inspired! Great story and beautiful photography. I can’t believe I hadn’t heard of Habu previously! So excited to find and use these lovely yarns! 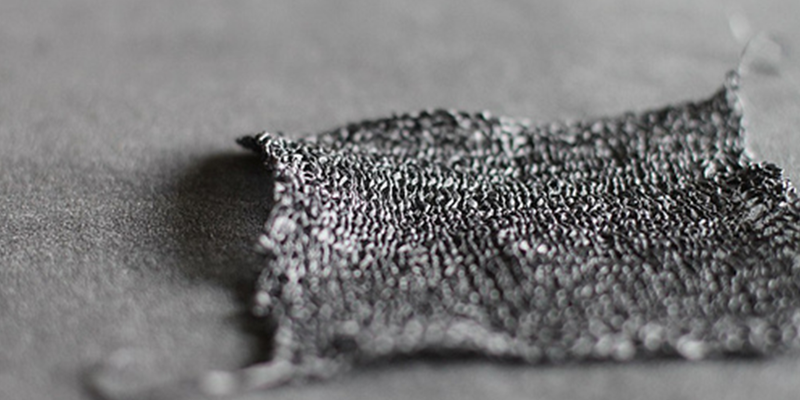 The first time I knew about Habu was when I saw Purl Soho’s Kusha Kusha scarf. I had been amazed by Habu ever since and always associate it with exquisite yarns. So thankful for this episode. I’ve always been curious about Habu, even more after listening to the podcast. Thank you. Love the pics! So inspiring! Habu is such a great brand! You can make a very chic garment with their yarn and I had the pleasure to try one years ago. The sweater I made with it is still one of my favorites. So interesting. I have never used anything different than wool and cotton, but now I am totally impressed by the possibilities out there… Fascinating interview. Thank you. I loved hearing Takako Ueki’s story and the photography tips. As a new weaver I loved listening to Takako speak about that being something she thought she would do for the rest of her life. I’m turning 40 and only just found it! I can certainly see myself doing it for the rest of my life. Lovely episode! It was great to learn about Habu Textiles and hear about Takako Ueki’s fiber journey. I’m looking forward to visiting Japan soon and hope I will have a little time to explore. Thank you for the giveaway. I would love to try Habu! Thanks for this wonderful interview, I look forward to your podcast every time! Wow! What a great giveaway. Always wanted to try hadu yarn. 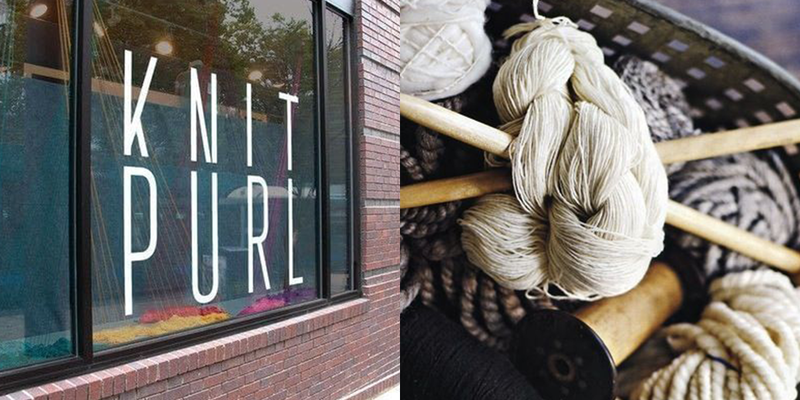 Habu yarn is so unique and I’m thrilled that she’s moved right down the street to Denver! As always, another fascinating episode. Thank you, and for the chance to win and try out some Habu yarns! One of my favorite episodes! Thank you! Thanks for a nice episode and a very nice story! Can’t believe that Habu is in my own backyard! Would love a chance to try out some of the yarns. Thank you for the episode! Ooh the Habu yarns look gorgeous! Plus, great episode. Thank you for another amazing podcast! I love, love Habu and want, want to win!! Fascinating interview! I’ve never tried Habu yarns but would love to! Lovely as always! Thank you! 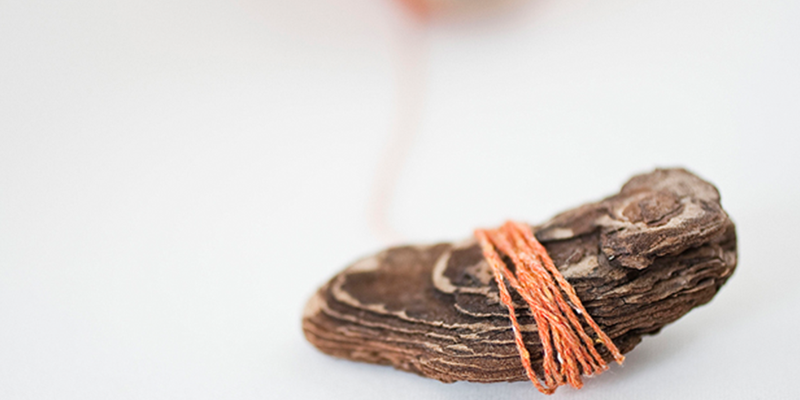 Habu yarns are beautiful and challenge the knitter’s imagination. Habu: I have long been fascinated (and intimidated) by these yarns. This may give me the little push I have needed to explore some of them in my knitting. Such fascinating textures and unusual looks! Catching up on episodes. Love the yarn! Another wonderful podcast – I enjoy learning more about the fiber community – a Big Thanks to you! Habu has such lovely and interesting fibers – I would like to incorporate some into my knitting and newly picked up weaving projects. Takako Ueki has poured out her heart in this episode creating another artful yarn with her story. I appreciate the part when she talks about how a dissatisfaction in her early schooling experience propelled her to seek more. As a mom, it touched me to hear her praise her parents for their sacrifice in getting her closer to what she needed. Another inspiring Podcast. Thank you! Thank you for letting Takako tell us her story. I am a huge fan of Habu but had not idea of its beginnings. Another fabulous podcast episode. Dear Ashley-loved the Habu interview on the podcast! What are the last sentences spoken by Takako? to puzzle it out but can’t get the words. Thank you for the great podcast. This podcast is a great resource-have tried to spread the word. Appreciate your skills in interviewing and especially presenting the diverse technical details. It appears to be a huge project!! I first discovered Habu yarns at a show in Paris a couple years back, just bought my fist 2 cones in June, still thinking about a very special project for them. I would love to be a devoted assistant to accompany Takako on a tour of mills around Japan! Love the unique beauty of Habu yarns. Great episode as always! Wonderful podcast as always! Habu yarns are so amazing, so great to hear Takako’s story. Such a facsinating variety and the story of how she came to start Habu. have been intrigued by Habu Textiles for awhile. Would love to try them! 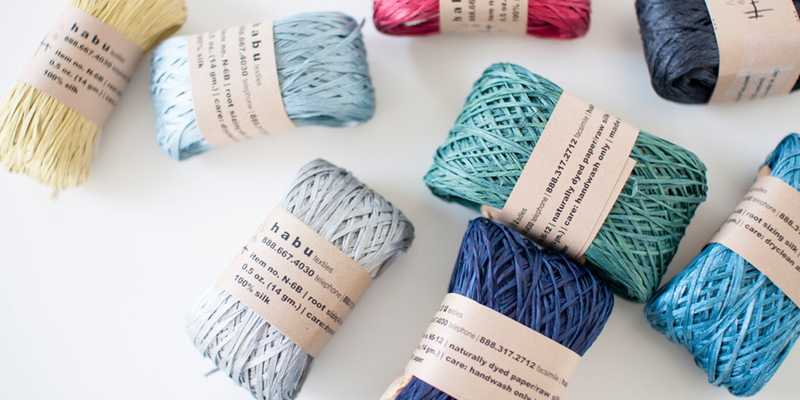 Ihave been intrigued by Habu Textiles for some time.. Would love to try them! I am working with my first Habu yarn–silk over stainless steel–and enjoying it very much. I really enjoyed the interview! Very interesting podcast. First time listening and won’t be my last. I really appreciate hearing the intricate stories that are behind the lives of such incredible makers. This podcast is always a source of inspiration. Thank you. This was such an interesting personal story – I never miss a podcast – thanks for this giveaway. this was such a joy to listen to! 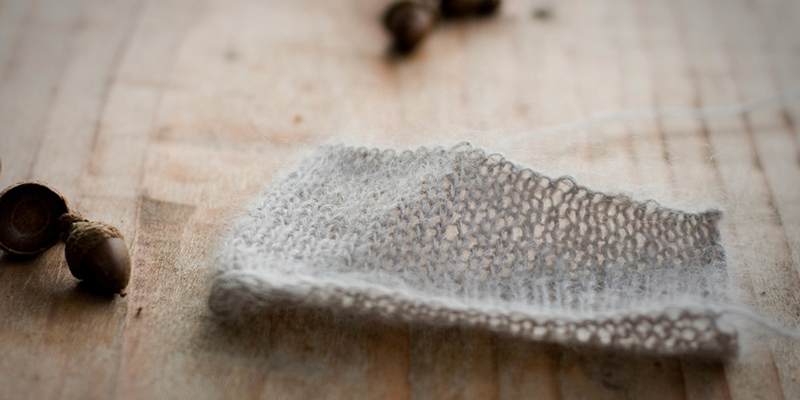 Habu yarns are my absolute favourite—there is something so honest and wonderfully tactile about them. as a maker, their materiality and form are always encouraging me to think outside the box and push the boundaries of the what the fibres can do. no other yarns compare and it is truly an honour to be able to work with them so intimately. i was actually working on a project with Habu yarns while listening to Takako’s story, and it was such a wonderful and meaningful way to be able to connect even deeper with these already inspiring fibres. i have so much appreciate and respect for what you do, Takako. thank you so much for sharing! I love sitting in the evening and enjoying these podcasts. So many interesting stories and people to get to know. Thanks for the great giveaway! Thank you for another terrific giveaway. I’m not sure I’d know what to do with Habu yarns. They are certainly unusual, but interesting. I do love linen, though I’ve never knit with it. Maybe this will be my opportunity. Good luck to everyone. It was fascinating to hear about the woman behind Habu yarns. I hope to try them in the future. I also enjoyed Kathy’s answer to the listener question about photographing knitwear. I’ve recently started to learn about photography and hope to apply her process to taking pictures of my own finished knits. I love your weekly podcasts! It is my special way of starting Friday AM before work. Would love the yarn giveaway to try new yarns. Another great podcast! Enjoyed it very much.